It can be daunting to get a business website up and running. Let’s be real here: if you weren’t a little bit jittery about it, we’d be worried. Not because you can’t do this. You totally can. It’s easy to build a great-looking business website if you use the right tools — and you don’t even have to know how to code! No, it’s daunting because your website matters so much to the health of your business. It’ll help you generate leads, drive conversions, and build your brand. But like a first date, there are a lot of ways to screw this thing up. Luckily, avoiding “website don’ts” is much easier than finding love in a hopeless place. In this post, I’ll outline the 10 biggest mistakes you could make when setting up a website for your small business. Avoid these pitfalls and you’ll be on your way to turning visitors into devoted customers. Ah, l’amour. This is the ultimate beginner’s mistake. So what is a responsive website anyway? Simply put, it’s a website that responds to its environment to give the user the best possible viewing experience. In other words, if a user comes searching for your website on a mobile phone, then the site’s layout will display in a different, more accessible way than if they were visiting the site on a desktop. When choosing a website builder or platform to create your website, make sure you pick one that offers responsive designs. You don’t want to mess around with a stagnant design that will drive away mobile visitors. One of the best things about using a content management system is the free themes available at your fingertips. 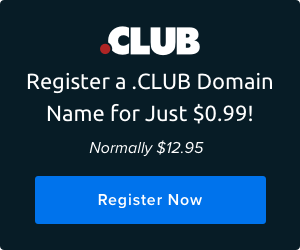 In fact, as soon as you settle on your web hosting company and purchase a domain, you can select the perfect theme to match your brand in mere minutes. However, it’s important to remember whatever platform you use, you’re going to have to customize it to match your brand’s style. 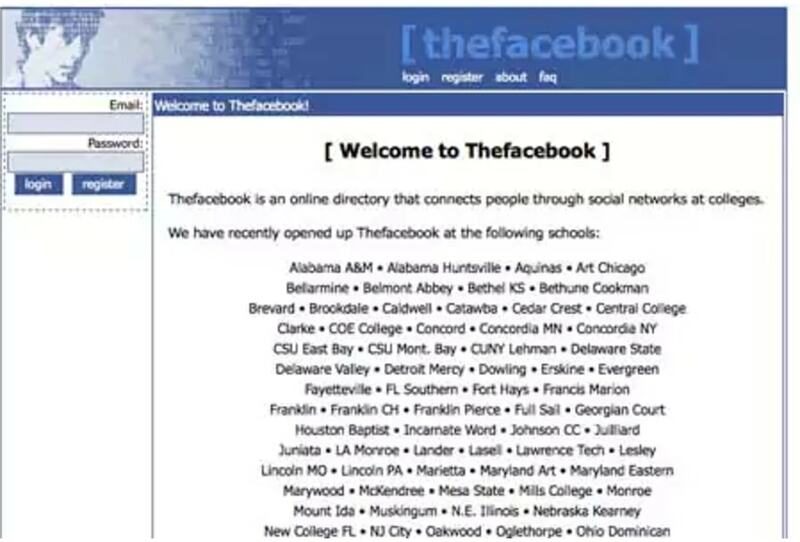 Otherwise, you’ll be left with a website that looks exactly like thousands of other business sites on the web — a big mistake. Happily, with Remixer, our in-house website builder, it’s easy to personalize your site. 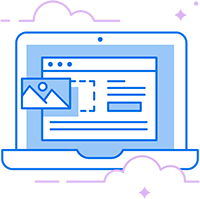 You can upload and insert your own images (or use our royalty-free gallery, your call), flesh out your unique content, and place menu items where you need them to build your dream website. We get it. You have been working in your field for years and years, and you’re literally a master of your industry. You know what “IPC,” “VC Money,” and “apportunity” stand for, but I’ve got news for you — your website visitors don’t. If a visitor lands on your website and the copywriting is full of technical jargon they can’t understand, they’re not going to stick around to parse through your metaphors. Remember: the average human has a shorter attention span than a goldfish. That’s a piddly eight seconds. This means when customers find your site, they need to encounter copy that is straightforward and encourages them to take action fast — whether that’s watching a video, entering your sign-up flow, or subscribing to an email newsletter. If you need a good example, Dropbox Business slays when it comes to website design and simple copywriting. Let’s take a look at their homepage. 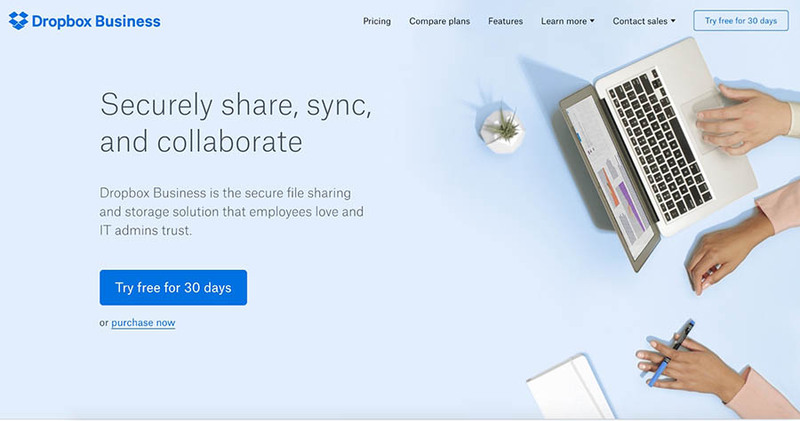 What is Dropbox Business doing right? The headline is straightforward with no jargon. The subheading tells you what they do in one easy-to-follow sentence. In fact, it’s immediately clear what the company offers. The call-to-action is easy to see (and click)! When approaching copywriting and design, be like Dropbox. Not only does your copywriting need to be sweet and simple, but the design also has to be easy on the eyes. And I don’t just mean nice to look at; it also has to be easy to read. Keep Your Font Sizes Consistent — Larger font sizes are a good way to say, “This is important, so pay attention.” Smaller font sizes should be used for more in-depth information. When building your website, don’t go hog wild and use a bunch of different sizes. Stick to three or four sizes. Choose Contrasting Colors — When selecting a color palette for your website, make sure the background images don’t drown out your font. Readability has to be the first priority. If you’re design challenged (no shame in admitting that, by the way), Remixer comes with preset color mixes so you don’t have to worry about the subtle differences between Seafoam and Aqua. So who is doing readability right? FreshBooks is nailing it. The copy is free of jargon, simple, and straight to the point. Even though their content is more robust than the Dropbox example above, it’s still easy to understand. The colors work nicely with each other, and none of the images detract from the text. The most important messages are in larger font while the supplemental information is in a smaller font. Overall, the readability of this website is on the money — which is good because, well, their business is all about the dollars. Every new business owner hopes to create a website that will sit on the top of the search results on Google, Bing, Yahoo, and every other search engine. And they hope to rank for more than just one keyword. However, the truth of the matter is that a good SEO strategy takes time, smarts, and money. 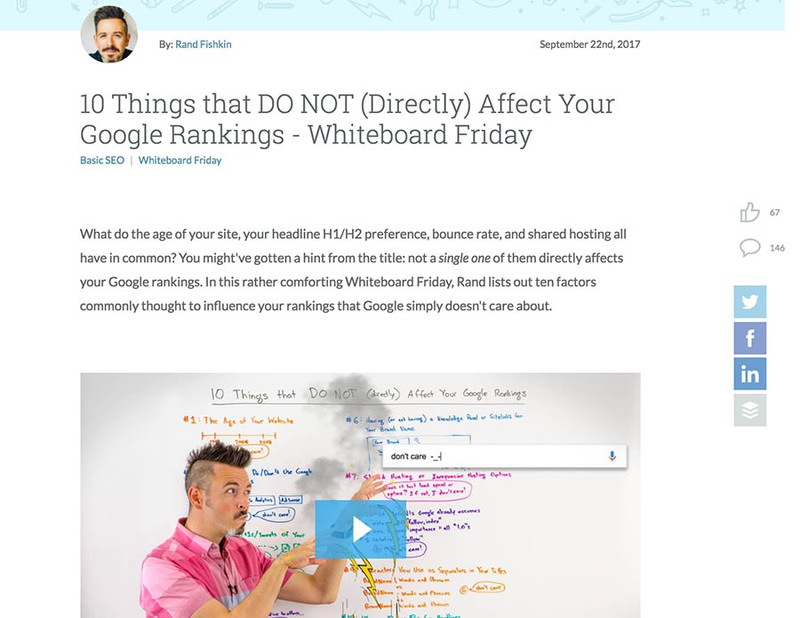 Plus, it’s impossible to successfully optimize your homepage for hundreds of keywords. That’s just not how the internet works, and if you try to cut corners, Google knows where you live. Write Long-Form Content — Once upon a time, stuffing your content with your top keyword would help you rank in the search results. Gone are those days, and just like on that first date we talked about earlier, you’ll actually be penalized for trying too hard. These days, it’s better to simply write your content for the user. Be as comprehensive and helpful as possible and Google will reward you. Structure Your Content with Heading Tags — Heading tags — the top-down <h1> to <h6>s — are often seen as a “meh, not that important” sort of thing, but they really do matter. Headings give structure to your pages, making it easier for both readers and Google bots to consume your content. To get the most SEO bang for your buck with headings, follow this guide from Yoast. Add a Call-to-Action — Your homepage should have a clear call-to-action (CTA). Not only will it help direct your readers to do the thing you want them to do — buy your product, sign up for your service, or subscribe to your newsletter — but it will help Google focus on what is important to you. Clear, strong heading tags in every post. Structured content that is easy to follow, read, and scan. The posts aren’t laden with annoying keywords. Instead, it supports the H1 tag and is helpful to readers. Here’s how I like to think about pop-ups. When someone puts a sign in front of your face, it’s difficult not to pay attention to it. But when someone puts a whole bunch of signs in your face, it’s impossible to pay attention to any of them. 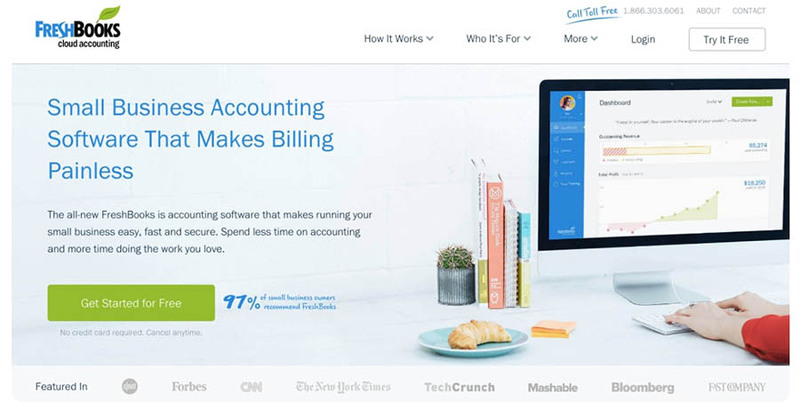 Helpful pop-ups that serve your readers are a great way to build your business. For example, you can include ONE pop-up asking someone to do ONE of the following: join your mailing list, share a post, follow you on social media, or sign up for an upcoming event. But the second you start throwing pop-ups on your website to join your mailing list and share a post and follow you on social media and sign up for your webinar, and . . . you are not serving your visitors — or your business. When it comes to pop-ups, be wise. Determine what the most pressing action you want your users to take is and then build a pop-up around that action. Leave the rest out. Simple as that. Digital Marketer, one of the marketing world’s top thought leaders, serves as a great example of using pop-ups wisely. Digital Marketer is an online publication with thousands of daily followers. 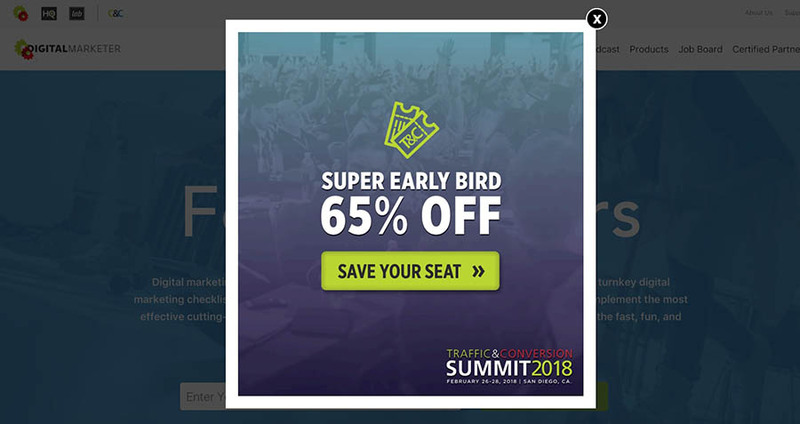 They use this pop-up to let subscribers know about an upcoming event. Once a subscriber either enters their information or opts out, the pop-up disappears. The pop-up isn’t asking for multiple actions from the subscriber. Feel free to use a pop-up on your website. Just don’t go crazy or your website visitors will feel like they’ve shown up at a protest with mixed messages. Did you know customers will only wait 4 seconds for a site to load before clicking out of the website, according to a study by Akamai Technologies? That means if you want to keep your customers interested, you need to make sure your site loads whip fast. The good news is when you build your site with Remixer, you are working with a product that is configured to make load times faster. Remixer’s static pages load whip-fast compared to dynamic ones. The internet yields nearly 7 billion global searches a day, and websites with intuitive navigation are rewarded with more visitors (and visitors who stick around for longer). If you can’t help your users get what they want immediately, chances are they will move on to a competitor’s site. Stick to the Standard — Humans are creatures of habit. And most of us are trained to expect vertical navigation on the left side of the page and horizontal navigation across the top of the page. To avoid confusion, keep your navigation standard. Don’t Overwhelm Users — You may be tempted to include several links in your navigation bar. But remember: less is more. Stick to the basics — About, Products, Services, Contact, etc. — in your navigation menu. You know what’s coming next, don’t you? A good example! 4 Rivers Smokehouse has a really sleek design. The navigation bar is up top, simple, and easy to read. The design is simple — and makes you want to dive into a plate of slow-roasted brisket. 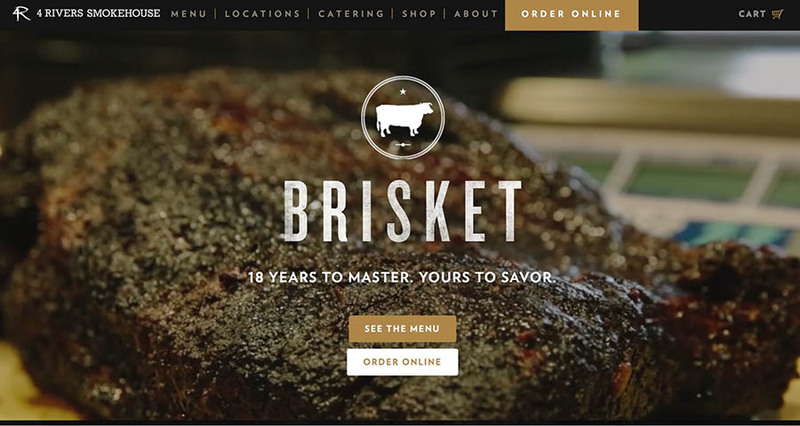 I know we just talked about brisket, but building a website is not like making slow-cooked pork. You can’t set it and forget it! Your website requires regular updates and maintenance for a variety of reasons. Updated Information Helps Customers — If you let your website information get outdated, it will be difficult for customers to find you, order from you, and remain a loyal customer. Don’t leave them hanging! 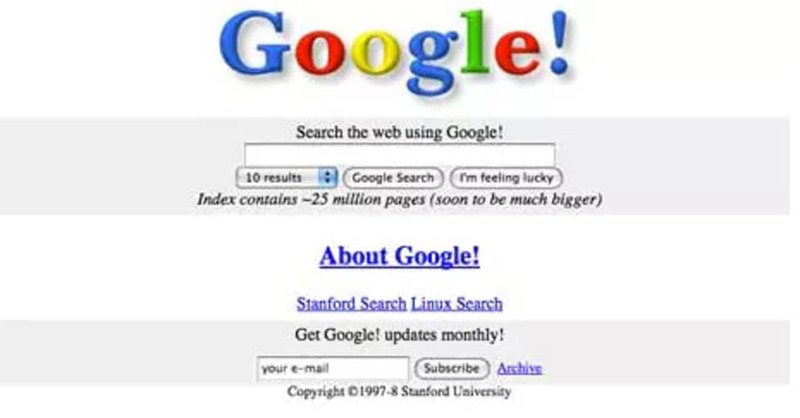 It Keeps Google Happy — Google ranks websites based on a huge algorithm. One major driver of rankings: how fresh and robust is your site’s content? This means you need to frequently add new content to your site (blog posts, anyone?) and routinely spruce up your older pages and posts. As you continue to build (and grow!) your business, make sure your website keeps up. You can start with a free responsive theme that’s been put together by our web experts to help you sidestep all the mistakes we’ve outlined above. Our themes are designed to load quickly, look great, and help you easily plug in SEO-friendly content. 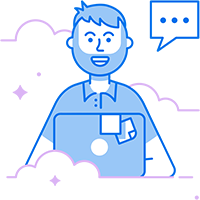 All you have to do is import your content, customize your theme, and then hit ‘publish.’ And if you get stuck somewhere along the way, the DreamHost team is just a chat away. So tell us: what mistakes have you seen on business websites? Do you have any first-hand successes (or missteps) you’re willing to share? Join the DreamHost community and start the conversation!